Although the emigration of homeless or parentless children's dates back to the early seventeenth century, it enjoyed a massive boom from the late 1860s. Over the following fifty years, more than seventy-three thousand children were sent to begin new lives in Canada by Britain's children's charities and Poor Law authorities. 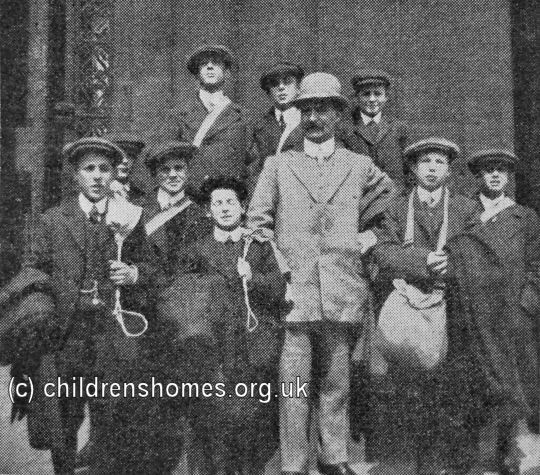 Emigration was seen both as way of providing the children with better future prospects than they might otherwise have, and also as a means of allowing children's organisations to keep their doors open for new cases who were in need of their help. 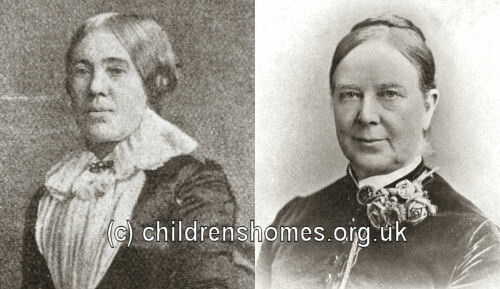 A major part in the emigration surge was played by two women, Miss Maria Rye and Miss Annie Macpherson, both of whom organised the travel of parties of emigrating children to Canada. The two also operated Receiving Homes in Ontario, — Miss Rye at Niagara-on-the-Lake and Miss Macpherson at Belleville, Galt and Knowlton, from where the children were distributed to families or employers in the area. Other groups began setting up their own emigration operations, notably Barnardo's in 1882, who established the Hazelbrae a receiving home at Peterborough, Ontario. In 1884, the Waifs and Strays Society decided to set up its own emigration scheme. It launched an appeal for £1000 to fund the project and the target was soon reached, much aided by a donation of £250 from Mrs Henry Huck Gibbs. The Rev. John Bridger, a clergyman who had accompanied many emigration parties on behalf of the Society for Promoting Christian Knowledge (SPCK), was commissioned to find a suitable property in Canada for use as a Receiving Home. By the end of 1884, a house at 117 Bowen Street, Sherbrooke, Quebec, had been acquired and named the Gibbs Home after its principal benefactor. On April 23rd, 1885, the first party of girls to use the Gibbs Home set sail from Liverpool accompanied by the Rev. Bridger and the home's future matron, Mrs H.W. Osgood. The girls must be between 6 and 12 years of age, or else 16 and upwards, provided that they have been properly trained in the Society's Homes as domestic servants. They must be in perfectly sound health and of good character. They must have spent at least six months under proper training. The nearest relative must give written consent, handing over the child unreservedly into the Society's care. The preference will be given to children in the Society's English Homes. Other girls can be received (if there are vacancies) from individuals, Homes and Institutions, and Boards of Guardians on the annexed conditions. Each party will be under the personal supervision of the Rev. J. Bridger, or one of his Assistant Chaplains, and a matron. Should it be necessary for the children to sleep in Liverpool, Mr. Bridger will make all arrangements. They will travel from Liverpool to Quebec by the Allan Line of steamships. The passage money will be £2 per child. In 1887, following a donation of £500 from a Mr Richard Benyon, a second Receiving Home was set up in Sherbrooke, at 136 Bowen Street. The Benyon Home, as it was known, was used to accommodate boys. In 1896, having reached the age of 67, Maria Rye decided it was time to retire and she handed over her homes in London and in Niagara-on-the-Lake to the Society. Thereafter, Niagara-on-the-Lake was used to receive girls, while the Gibbs Home, relocated to 21 Lawson Street, Sherbrooke, was used for the boys. The Benyon Home was then closed. An emigration in party in 1905 was accompanied by Mr J.C. Maillard, Master of the St Aldhelm's Home, Frome. A detailed account of the journey can be read on a separate page. From 1909 to 1911, the Society operated a Babies' Home in Winnipeg, Manitoba which housed boys and girls aged from birth to five years. During the First World War, the Niagara home was taken over for military purposes and then disposed of by the Society in 1921. Three years later, a property was acquired at 661 Huron Street, Toronto, and named the Elizabeth Rye Home. It accommodated girls aged from 14 to 18 years who were trained for domestic service. The home closed in 1932. The numbers of children emigrated by the Society were always relatively modest. Between 1887 and 1914, the total numbered 2,250, with the largest contingent in any one year comprising the 90 girls and 65 boys who departed in 1907. The First World War temporarily halted emigration but it gradually resumed afterwards. 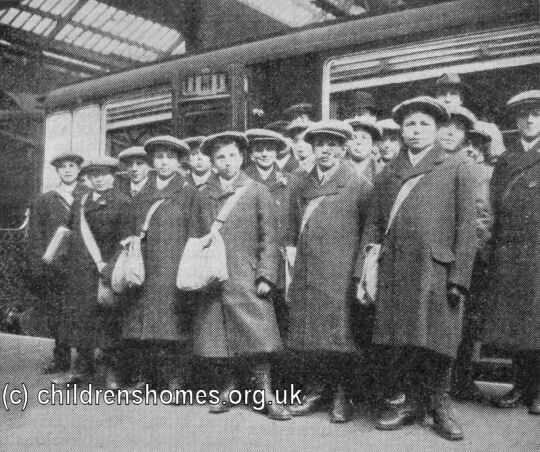 In 1928-30, 226 children left for Canada, with the overall total then having exceeded 3,000. The worldwide depression of the early 1930s brought emigration virtually to a standstill although a small number of boys from the Society emigrated to the Fairbridge home in Australia. The Gibbs Home in Sherbrooke was finally closed in 1933. A trickle of emigration continued, interrupted again by the Second World War, but its use was formally brought to an end in 1948.